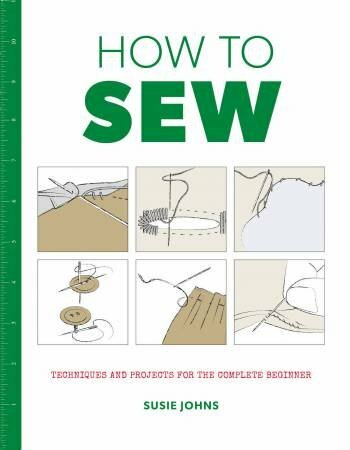 If you've always wanted to take up sewing but didn't know where to start, How to Sew is the perfect guide for the absolute beginner. This simple-to-follow project-based book takes you through the basic techniques of this fun and creative craft. You'll learn everything you need to get started, including how to do the necessary stitches, how to make seams and add creative details and fastenings. Each skill is accompanied by a stylish project to make, including an apron, padded coat hanger and cushion. Each project is explained with the help of clear illustrations that will guide you every step of the way. The straightforward explanations combined with desirable projects means that no matter how little sewing experience you have to start with you'll soon be impressing friends and family with your new-found practical skills. Projects include: bunting, tote bag, apron, padded coat hanger, basket liner, cot cover, peg bag, cushions and coffee cosy.